Immaculate Conception Catholic School couldn't offer the quality and breadth of programming that we do without help. Support takes many forms and include volunteers, guidance, and financial contributions. Each area is critical to our overall success. 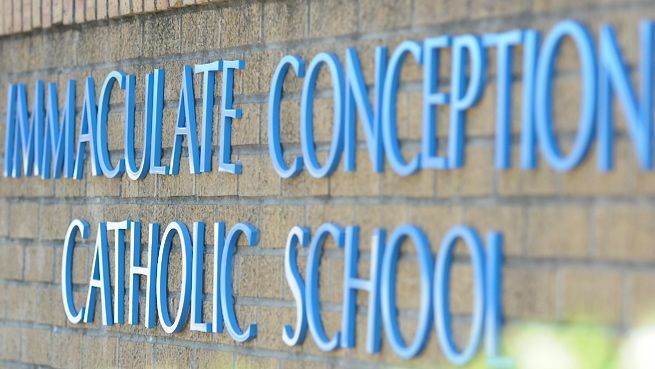 Our goal is to involve our whole community (parents, teachers, parishioners and community advocates) in making the mission of Immaculate Conception Catholic School a reality for this and future generations. Financial contributions, critical to funding scholarships and enrichment programming, are welcomed through various channels, from endowment grants to specific donations, our Annual Falcon Fest, and more. If you are interested in supporting Immaculate Conception Catholic School and would like for information, please call our school office at (501) 835-0771 or click the "Make a Donation" button fewlow to make a secure online donation.